Guillaume, Marquis d’Angerville’s Jura adventure started when he was served blind one of Stephane Tissot’s Chardonnays from Arbois and was taken aback with the quality of the wine. Further exploration showed him the potential of the region and still reasonable price for vineyards which share the landscape with rolling hills, wooded valleys and fast running rivers. High rainfall and west facing slopes make this a cooler, lush area with almost more cows than people (this is where the famed Comté cheese comes from) and lots of potential. In 2012 D’Angerville managed to buy a five-hectare estate which had been the hobby for a film producer near Arbois before the money ran out. Farmed biodynamically, the charming Chateau de Chavanes in the hamlet of Montigny les Arsures counted Chardonnay and Pinot Noir among its grapes alongside the traditional Jura varieties of Poulsard, Trousseau and the white Savagnin grape. Very soon afterwards, Guillaume d’Angerville and his winemaker François Duvivier, who is his partner in the Jura domain, had the chance to acquire a parcel called Grand Curoulet which is showing great potential as well as the vineyards of the famous organic grower Jacques Puffeney upon his retirement in 2015, whose wines, especially his Vins Jaunes are legendary. . D’Angerville’s Pélican wines have been described as Jura wines made in the Burgundian style but this just means that the barrels are topped up during the aging process so that the wine is protected from oxygen (called “ouillé” in French and listed on the label.). There is a Vin Jaune made in 2016 but it will not be released until 2023 as by law the wine made from Savagnin grapes needs to age for almost seven years. Two white varietal wines, a Chardonnay and a Savagnin are produced. 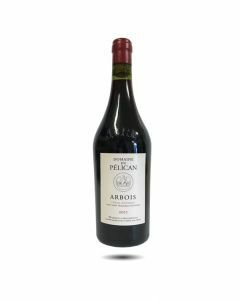 For the red wines there is a varietal Poulsard and a blended wine “Les Trois Cépages” which is made from Pinot Noir, Trousseau and Poulsard grapes. In the future, as the character of the different terroirs becomes more evident, the plan is to make separate cuvées based on specific parcels such as Barbi and Grand Curoulet. For d’Angerville and Duvivier, Jura seems a magical region. Spared from the ravages of hail and mildew that have hit Burgundy in recent years, a series of good vintages and critical acclaim have put these wines firmly on the radar, at a time when Jura wines are finally getting the fame and praise internationally that they deserve. The Domaine de Pélican takes its name from the symbol of the town of Arbois. Farming biodynamically, the estate produces wines that are fresh, precise, pure wines with very good structure and intensity. We have decided to focus on the Jurassic varieties of Savagnin, Poulsard and Trousseau believing that the Jura heritage coupled with Burgundian winemaking brings out the character and the energy of this exciting domain. This wine comes from two parcels where the Jurassic marl and fossilized oysters are very evident in the soil. This is a striking wine with expressive notes of quince, Reine Claude plums and green herbs on the nose. The wines are fermented and aged in foudres and 500-liter barrels for ten months. Long and persistent on the palate there are notes of citrus and salty minerality salinity. Very appetising with umami savouriness in the finish. 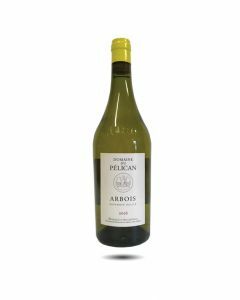 Racy and exciting with very expressive Jura notes of herbs, such as chives and tarragon, limes and lemons and a chalky minerality, what immediately strikes you about this wine is its beautiful freshness, taut structure and excellent length. There is lots of character here but so elegantly expressed that it takes a few sips to reach the depths of this wine. Beautiful integration between fruit and the acidity. Still very youthful, this wine will take a while to fully express its potential. Only the third vintage of this wine, it comes from the former vineyards belonging to Jacques Puffeney. 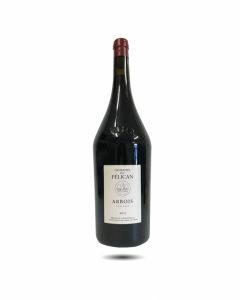 Quite ruby pale in colour with a very fragrant, floral nose of rose hips, summer flowers and strawberries, this red wine has a very fruity, red berried attack that leads to darker, more complex flavours of pepper, pata negra and wood smoke. The wine is aged for one year in big oak foudres. Everything is silky and in beautiful balance here and the wine slides elegantly towards a very long and expressive finish. Such a gastronomic wine that can pair beautifully with dishes such as pigeon, veal or even grilled fish. Drink young while it captivates with its freshness or wait until the secondary flavours add a further depth of complexity to the wine.